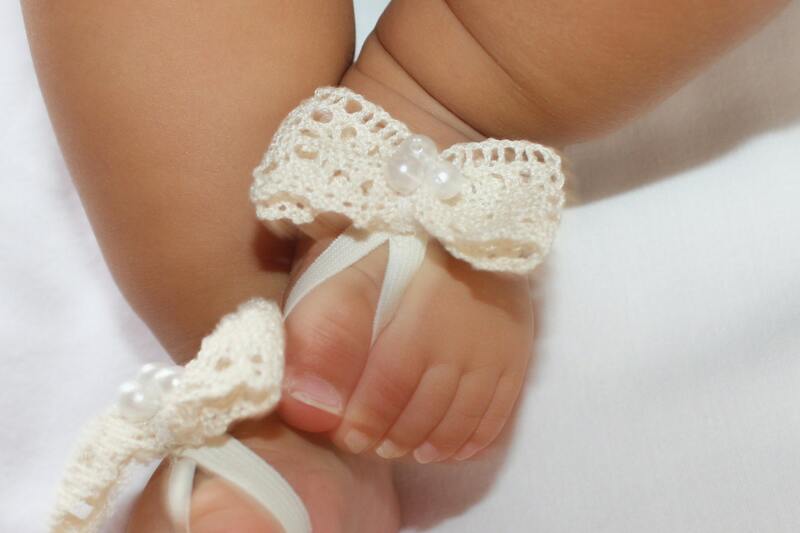 These Dynamite Beige Bow Baby Barefoot Sandals are just perfect for any age! 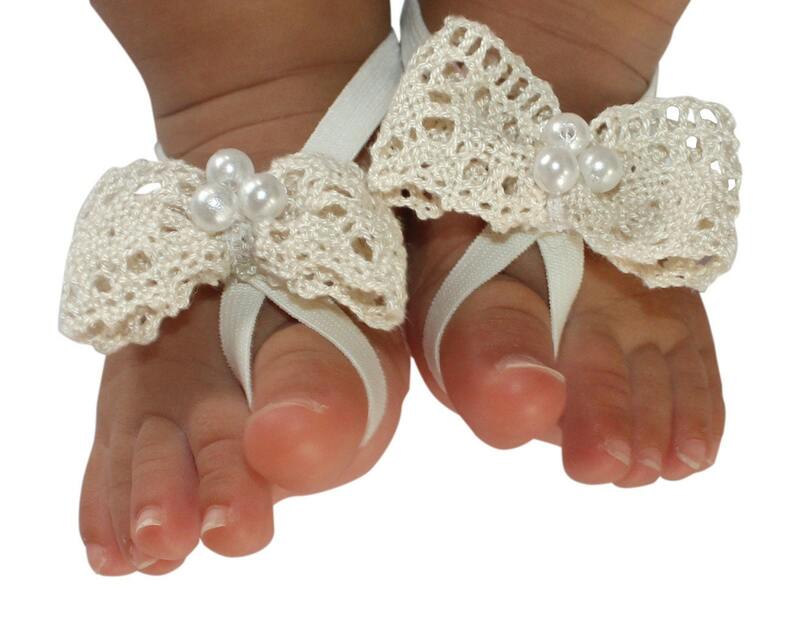 The front part of this sandal will not stretch, but there is enough stretch elastic on the back for a perfect fit. The off white ones are cute too, both sandals will be great. Now I need to make up my mind which ones to use?